Withholding what you need is a hook. A journalist is needed to show the public how this accounting fraud works. It is protected. The public is not. The only protection the public has is for every family member to learn to recognize the patterns before it's too late. 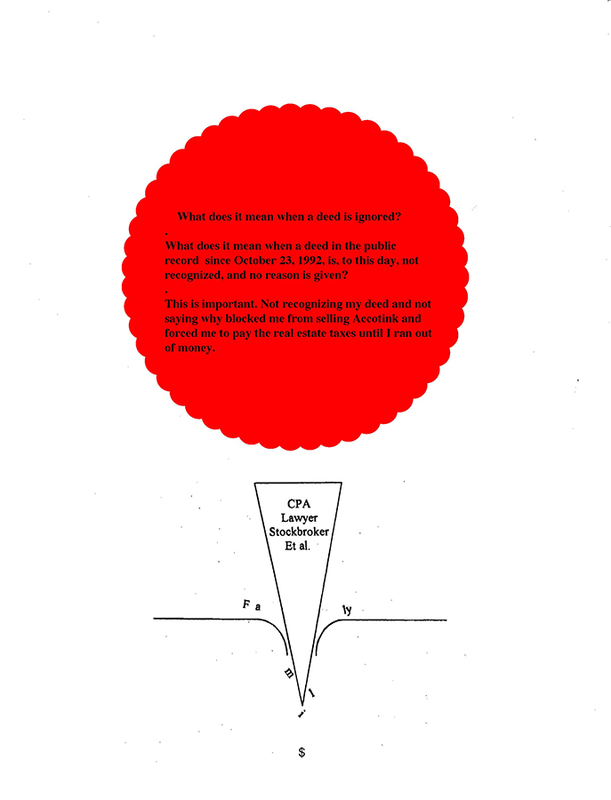 The fraudsters signature cover is to use a trusting family member to unwittingly divide, disempower, and destroy the family, and make it appear as the family's fault. The public has no chance against them if one member of the family trusts them and takes their advice. It is against the law for those in control to ignore the 1992 Trust Deed. It rendered me, the Trustee, powerless. It blocked me from selling the Trust property, forced me to pay the real estate taxes until I ran out of money, made to appear as my fault, and used to justify removing me as Trustee. It sabotaged my Trusteeship from day one. You have to recognize this cause and effect. The primary set up behind this Complaint is remarkable. 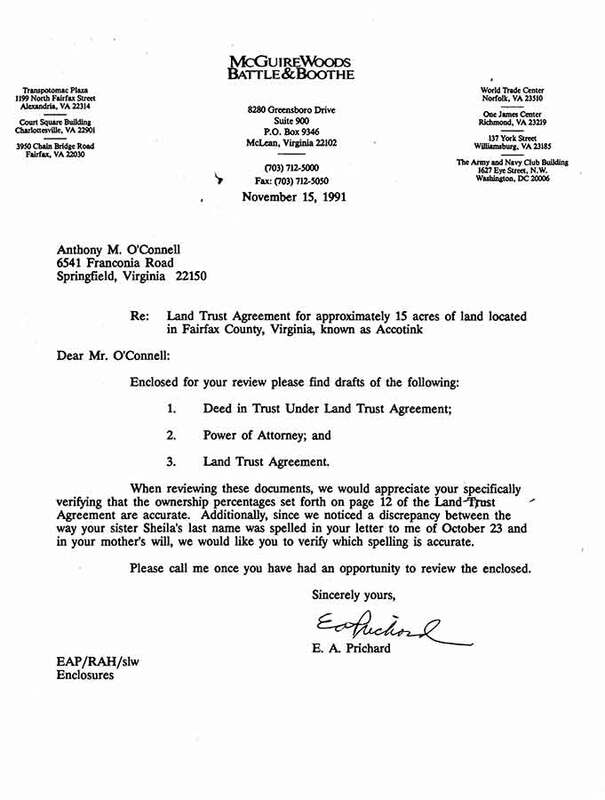 The Trust Deed, which has been in the Court records since October 23, 1992, is ignored. No explanation is given for it not to be recognized. It is not actually said that it is not recognized. It is just ignored. 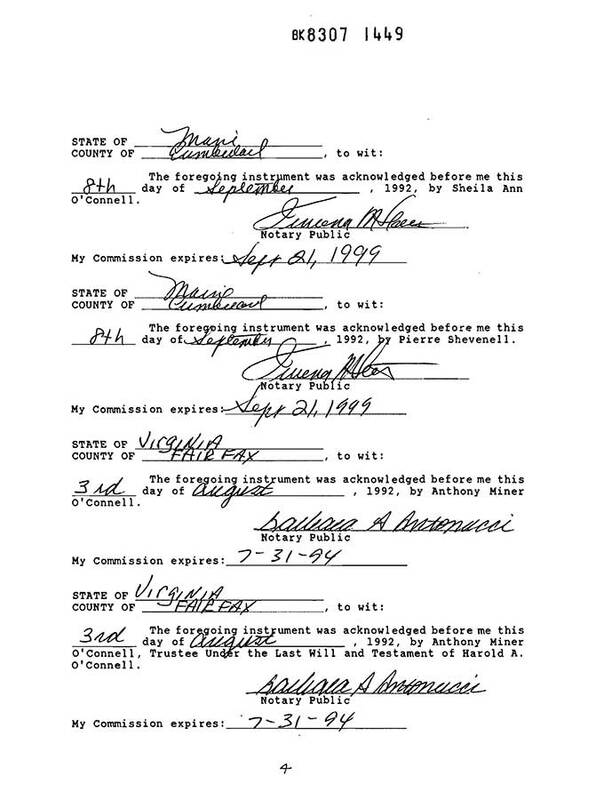 How this level of silence and conspiracy, on a document in the Court's public record, can be maintained for 25 years now,is mind boggling. to the present, is astounding. 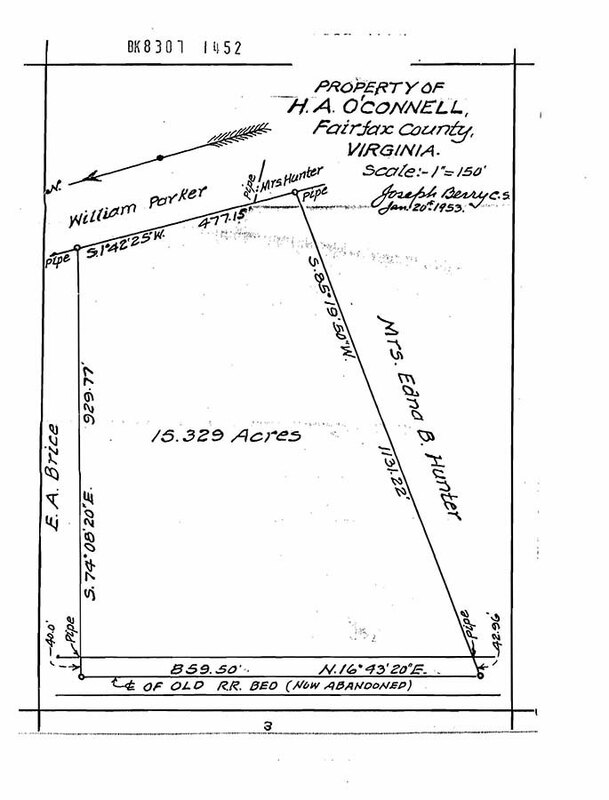 That Grantors for good and valuable consideration, the receipt and sufficiency of which are hereby acknowledged, do hereby grant and convey to the Grantees as trustees the hereinafter described parcel of real estate, situate and being in Fairfax County, Virginia, and being more particularly described on the attached and incorporated EXHIBIT A- ("Property"). 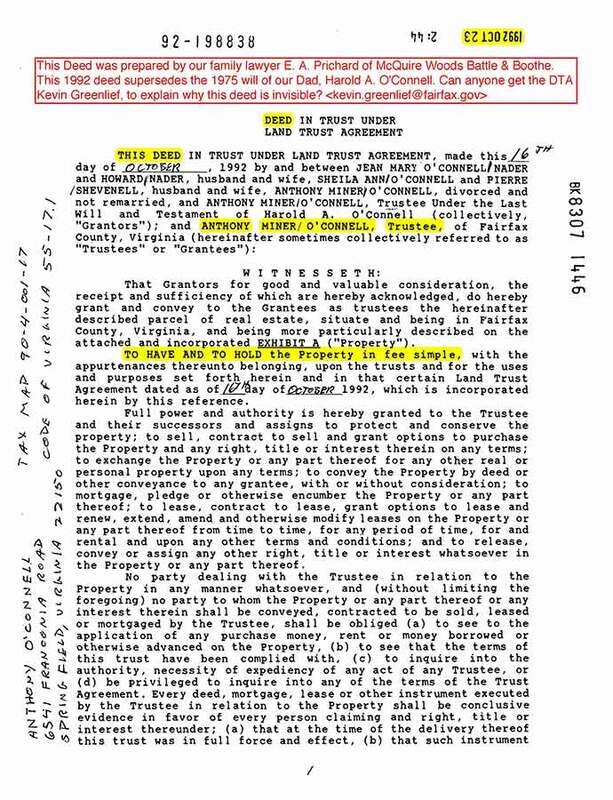 TO HAVE AND TO HOLD the Property in fee simple, with the appurtenances thereunto belonging, upon the trusts and for the uses and purposes set forth herein and in that certain Land Trust Agreement dated as of 16th day of October 1992, which is incorporated herein by this reference. Full power and authority is hereby granted to the Trustee and their successors and assigns to protect and conserve the property; to sell, contract to sell and grant options to purchase the Property and any right, title or interest therein on any terms; to exchange the Property or any part thereof for any other real or personal property upon any terms; to convey the Property by deed or other conveyance to any grantee, with or without consideration; to mortgage, pledge or otherwise encumber the Property or any part there of; to lease, contract to lease, grant options to lease and renew, extend, amend and otherwise modify leases on the Property or any part thereof from time to time, for any period of time, for and rental and upon any other terms and conditions; and to release, convey or assign any other right, title or interest whatsoever in the Property or any part there of. No party dealing with the Trustee in relation to the Property in any manner whatsoever, and (without limiting the foregoing) no party to whom the Property or any part there of or any interest there in shall be conveyed, contracted to be sold , leased or mortgaged by the Trustee, shall be obliged (a) to see to the application of any purchase money, rent or money borrowed or otherwise advanced on the Property, (b) to see that the terms of this trust have been complied with, (c) to inquire into the authority, necessity of expediency of any act of any Trustee, or (d) be privileged to inquire in to any of the terms of the Trust Agreement. 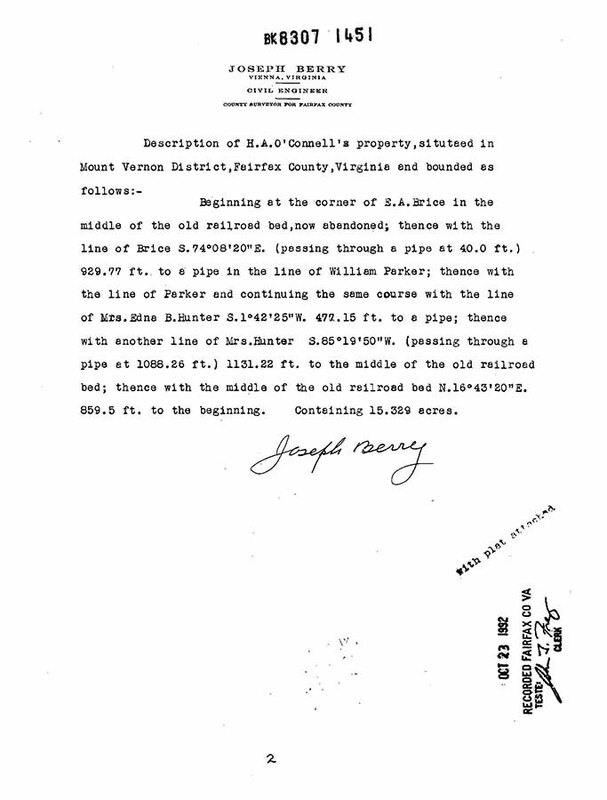 Every deed, mortgage, 1ease or other instrument executed by the Trustee in relation to the Property shall be conclusive evidence in favor of every person claiming and right, title or interest thereunder; (a) that at the time of the delivery thereof this trust was in full force and effect, (b) that such instrument was executed in accordance with the trusts, terms and conditions hereof and of the Trust Agreement and is binding upon all beneficiaries thereunder, (c) that the Trustee was duly authorized and empowered t o execute and deliver every such instrument, and (d) if a conveyance has been made t o a successor or successors in trust, that such successor or successors have been properly appointed and are fully vested with all the title, estate, rights, powers, duties and obligations of his, its or their predecessor in trust. 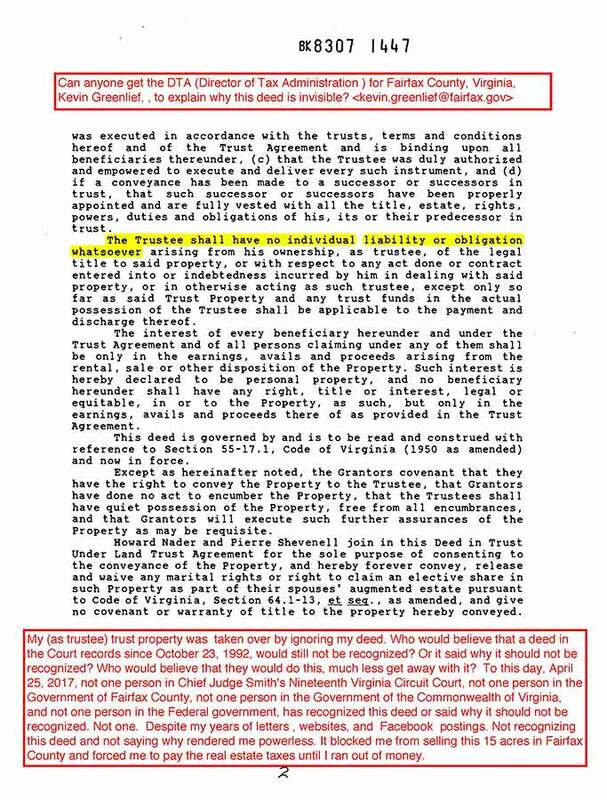 The Trustee shall have no individual liability or obligation whatsoever arising from his ownership, as trustee, of the legal title to said property, or with respect to any act done or contract entered into or indebtedness incurred by him in dealing with said property, or in otherwise acting as such trustee, except only so far as said Trust Property and any trust funds in the actual possession of the Trustee shall be applicable to the payment and discharge there of. The interest of every beneficiary hereunder and under the Trust Agreement and of all persons claiming under any of them shall be only in the earnings, avails and proceeds a rising from the rental, sale or other disposition of the Property. Such interest is hereby declared t o be personal property, and no beneficiary hereunder shall have any right , title or interest, legal or equitable, in or to the Property, as ' such, but only in the earnings, avails and proceeds there of as provided in the Trust Agreement. 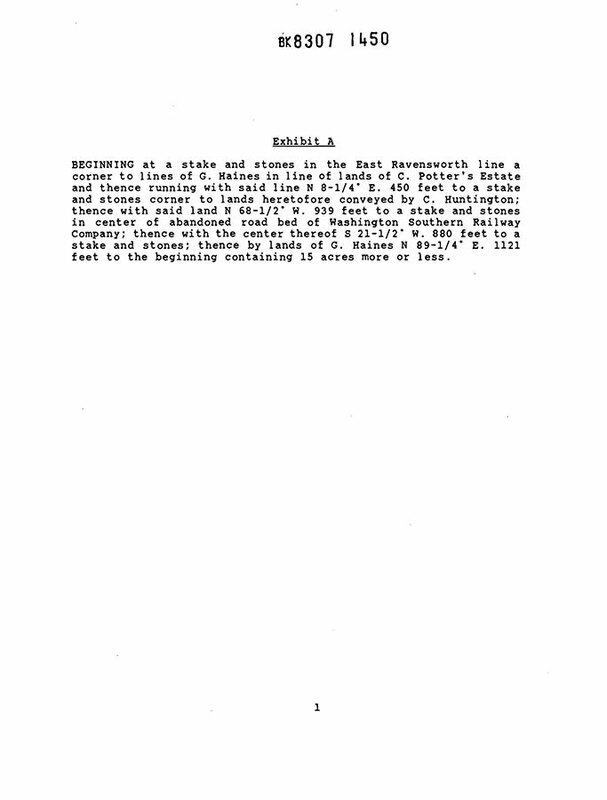 This deed is governed by and is to be read and construed with reference t o Section 55-17.1, Code of Virginia (1950 as amended) and now in force. Except as here in after noted, the Grantors covenant that they have the right to convey the Property to the Trustee, that Grantors have done no act to encumber the Property, that the Trustees shall have quiet possession of the Property, free from all encumbrances, and that Grantors will execute such further assurances of the Property as may be requisite. 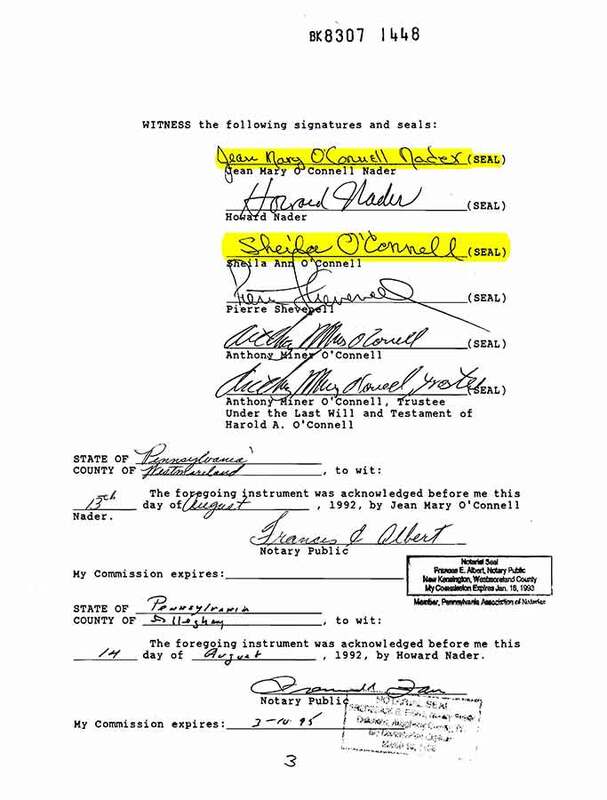 Howard Nader and Pierre Shevenell join in this Deed in Trust Under Land Trust Agreement for the sole purpose of consenting to the conveyance of the Property, and hereby forever convey, release and waive any marital rights or right to claim an elective share in such Property as part of their spouses' augmented estate pursuant to Code of Virginia, Section 64.1-13, et seq., as amended, and give no covenant or warranty of title to the property hereby conveyed." No one recognizes this set up. My Deed as Trustee is ignored and no reason is given. This blocked me from selling the Trust property and forced me to pay the real estate taxes until I ran out of money. It is made to appear as my fault. And made to appear as my fault is used to justify removing me as Trustee. And accountings remain concealed. The only protection the public has is for their whole family to learn to recognize the patterns before it's too late.